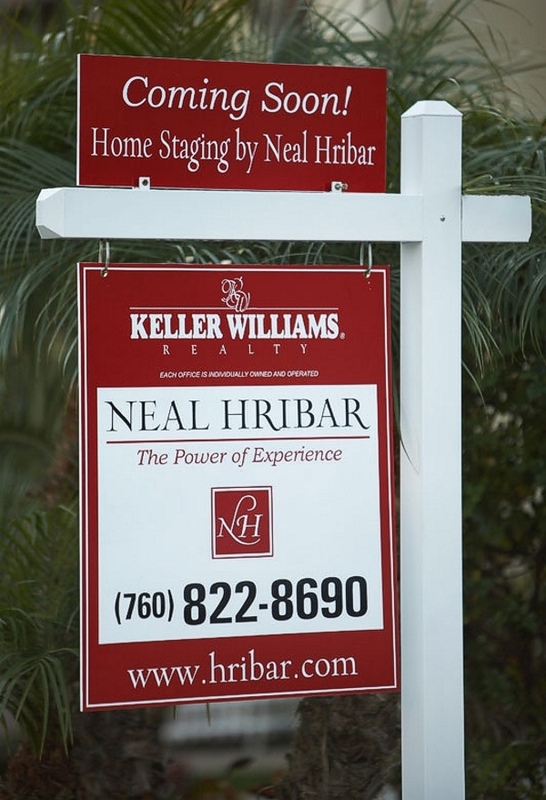 Neal Hribar's powerful 7-stage real estate home marketing plan. Recommend repairs and improvements to sell your property for the highest price. See the most comprehensive home staging program in the real estate industry. Schedule a professional photographer to take "perfect" digital photos of your property for the MLS and Internet web sites. Engage a professional to draw an accurate floor plan. Display your home to our sales staff and other agents by hosting a broker caravan. Promote your property by networking with Berkshire Hathaway HomeServices, California Properties sales people and active agents from other companies. Mail photo postcards to the executive offices and human resource departments of San Diego's top 100 companies. Prepare 1,000 small "listing cards" for you to distribute to your friends and business associates. Mail just listed postcards to your neighbors inviting them to the broker caravan. Feature your home on the Internet including (hribar.com, bhhscaprops.com, realtor.com & uniontrib.com) plus others. Produce interactive CD's with a video tour to prospective buyers. Use the Berkshire Hathaway HomeServices, California Properties nationwide relocation service to generate buyer interest. Determine an adequate purchase deposit to solidify the transaction. Arrange for your net proceeds to be wired into your bank account. Give you a CD containing all your real estate transaction documents. This is a valuable reference for the future. Find an agent in your area with a powerful real estate home marketing plan! Click here to learn about the free real estate agent referral program.